Texas State Parks - Hamilton Pool Reserve. The truth is that I was thinking about the latest developments with North Korea, where nations are seeking to come to some sort of resolution, or agreements with North Korea. As I mentioned in my previous thoughts, the last think that anyone really wants is war. The least of any nation, is probably the United States of America. I am absolutely so proud of the American leadership aiming to put pressure on North Korea to stop. Whilst North Korea has been showing off its Nuclear capabilities to the world, I think that this nation must also remember that other nations do possess weapons of mass destruction, military might, etc. Just because one possesses this strength, it does not mean that they have to show this off every other day, as an avenue for threats. It is as though they have nothing better to do. I simply don't understand what the purpose is of these threats .... which we have been seeing very often lately. Then I began to wonder about the nuclear weapons, and the harm that they do to the environment. If nations are seeking to protect the environment, then nations who seek to protect the environment must also raise their voices as a response to the constant threats from North Korea. However, we do not see this. Particular nations have certain trade agreements in place with this nation. So then the question becomes, should trade agreements override, even when a trading partner nation is engaging in threatening behaviour? If anything, I think that these trading relationships should act as a type of diplomatic effort. These could be advantageous to curb any types of threats. But rather than hearing from particular nations, we don't hear anything. They are as quiet as a mouse. Then we could also think of nations who are in trading agreements with North Korea, and the nations who are as quiet as a mouse on these fronts. They make noise when other nations seek economic growth with the use of their own resources. The silences and the noise should make individuals, leaders, and nations critical of the self - serving interests that are at play here. Also with the recent withdrawal from the Paris Agreement, and the US leadership deterring North Korea, we can well and truly say that the Trump administration is being true to their word, to act as a protector for the environment. I think that President Trump, our Presidency, the economy, and the topic of the environment will be served well by hiring a scientific advisor, or even building a team of advisors. Because regardless of the activities and actions of other nations, American lands deserve to be protected and maintained. American lands are beautiful lands. There is also the need for economic growth. Working with the specialists from economic and scientific sectors will allow for discussions, and dialogues that could in-fact pave America forward. 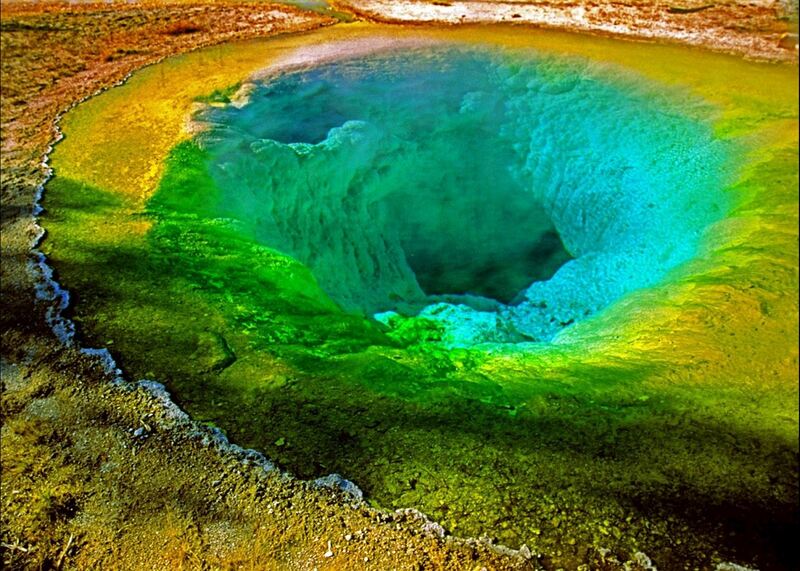 Yellow Stone National Park - America. Notes: These thoughts were originally hand - written on August 9th, 2017.